Operating under the non-profit umbrella of the BCLT, Bo-Gas provides fuel for residents and visitors. A portion of all sales goes directly towards funding our affordable housing projects. 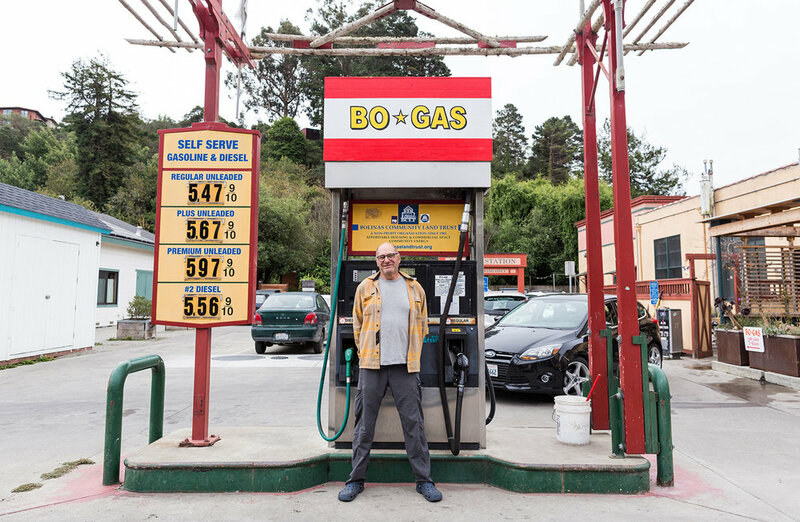 Bo-Gas is the only source of gas and diesel between Mill Valley and Point Reyes. In 2004, we purchased and renovated the gas station and garage buildings to create affordable housing and provide community-driven retail spaces for residents and its visitors to enjoy. 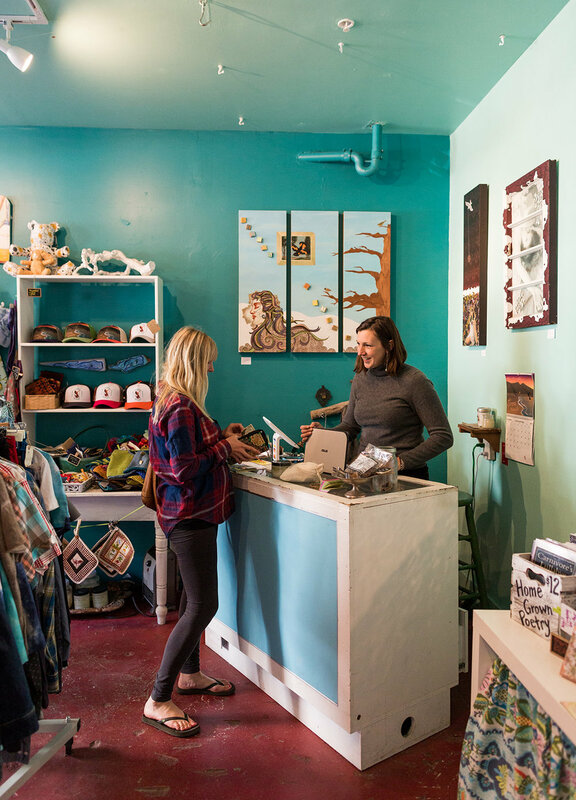 Located in the heart of downtown Bolinas. We realize the prices are high and work hard to keep them as reasonably low as possible. The cost is a result of many factors including restrictive access to large delivery trucks and sales volume. Profits help support and maintain affordable homes and retail spaces at Bo-Gas and the Gibson house. The Bo-Gas building was built in 1909 by Oliver Longley. Longley was a second-generation Bolinas resident who grew up on his family’s homestead on the Bolinas Ridge. 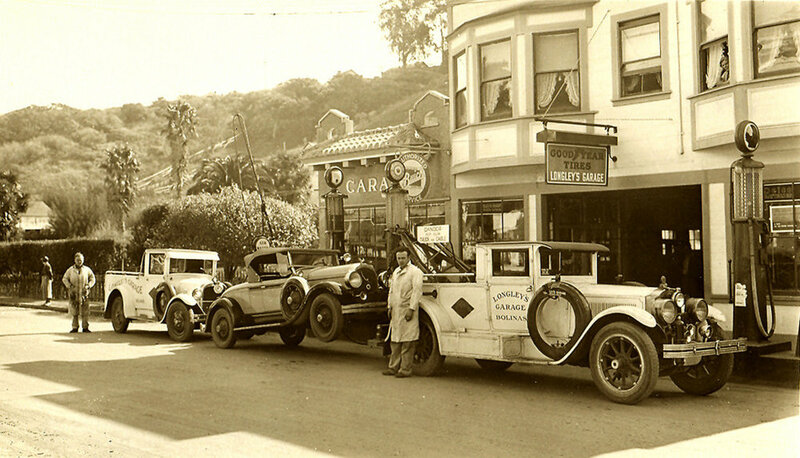 After learning the blacksmith trade working for the Studebaker Company in San Francisco, Longley returned to Bolinas and opened his own blacksmith shop, where he offered a range of services including building and repairing wagons, farm equipment, and household tools, as well as shoeing horses and oxen. Find out more at the Bolinas Museum. Full of delicious smells and exceptional trinkets, this little shop is wonderland to explore. Locally made gifts in a space that is full of life. This shop has something for everyone. Small health conscious café focused on delicious organic salads, smoothies, coffee & tea, and paninis.